I recently finished making my Christmas Wishlist and wanted to list some items that up an coming vidographers may want to include on their wishlist. Apart from hair products, the majority of my wishlist is videography equipment, which can be super expensive. If someone buys you one of the more expensive items on this list, don't be expecting another present for a decade or so. I have already purchased some of the items on this list but wanted to include them as they are still relevant if you are thinking about getting into videography. This list is not exhaustive and there may also be cheaper places to buy similar equipment. As videography equipment is expensive, be sure to check written and Youtube reviews on the products you want, as the items should be investments as opposed to a flippant purchases. The YuHan Oxford bag is the one I currently use. I like it because the camera compartment opens from behind the straps, which gives you extra security when it is being worn. You can also carry tripods, lights stands etc on either side. It has a strap that you can wear across your chest and one across your waist, which gives you extra support and takes away the strain from your back. I've wanted a 3-axis stabiliser handheld gimbal for a year but due to the weight of my 5D mark iii camera combined with my Tamron 70-200m G2 lens, most gimbals were unable to handle the weight. I thought I had no choice than to purchase the more heavy duty and more expensive DJI Ronin. That was until the release of the Zhiyun Crane 2 came along. It can hold a weight of up to 3.5kg, which will be more than enough for my gear. There is nothing I enjoy more than writing a list and crossing things off it. Pure satisfaction. As a business owner, you have to juggle so many activities within a week and it helps to keep track of what's going on. I also adore Google Calendar too. Since starting my videography business, I have been asked by many women how I got into videography, what equipment I use and all sorts of questions about shooting and editing. I created Workshops in Motion to encourage more women to get into videography and to help them flourish in a comfortable environment. 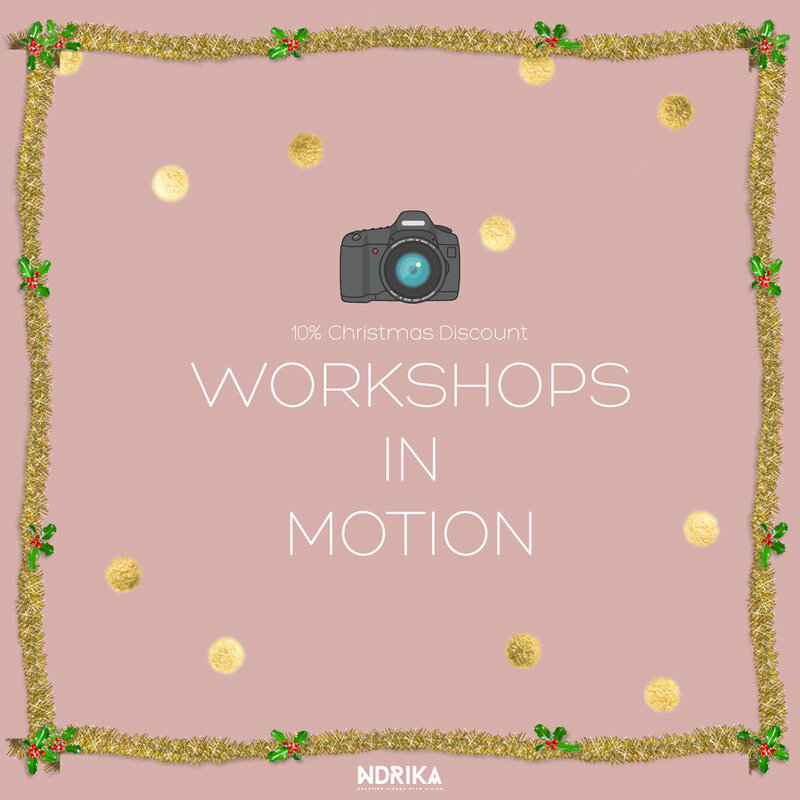 You can learn more about the workshops I offer here and also receive a 10% discount if you book before 12th January 2018. Computer and laptop storage runs out quickly, especially when you have lots of video files. For this reason hard drives are a must. It's also good practice to back up your video files on at least two different hard drives. The Panasonic GH4 was the first video camera I bought after starting my videography business. I love the user friendly system and the flip out LED screen is very practical. It shoots 4K and also 96fps which creates great slow mo shots. Panasonic has also releasded their new GH5, which means the GH4 has gone down in price. The GH5 has many new features, so if your budget can stretch that far, it will be worthwhile. I bought the Lumix G Vario lens, 14-140MM in tamden with my Panasonic GH4. It is a flexible lens and a great all round starter lens if you can only afford one. It has image stabilisation and is durable and lightweight. I love this Tamron 70-200mm G2 lens. This may be one of my favourite purchases of all time. I use this lens a lot for my wedding videos and my portraits. Even though it is still super pricey and rather heavy, it feels much better quality than the older Tamron V2 version and is still quite a bit cheaper than its Canon, Nikon and Sony counterparts. There are many relatively cheap LED lights that you can use on your DSLR but my current favourite is this ridiculously bright spotlight that has some great features. There are useful settings to adjust the brightness. You can power the light with the usual batteries or 6 x AA batteries. The only issues I have with it is that it eats through batteries and is less practical to carry and more intimidating at weddings than a small rectangle LED light. The Zoom H1 Portable Digital Recorder has been a great addition to my audio kit. It has lots of different settings and is easy to use. It's great at weddings and can be hidden in a groom's inside jacket pocket during vows and speeches. I only wish it was more square shaped and less oblong but a couple of these will be a great addition to any kit. Note that it doesn't come with a lapel mic. External power banks aren't anything new but they can be life savers at long events where finding plug sockets may be tricky. They are small and relatively cheap well, so worth adding to your Christmas list this year. I am being asked more and more by clients (wedding and cooperate) whether I have a drone, which I don't...yet. My favourtie wedding videographers have them and some of the shots you can get really add to the quality of the video. Decent drones like the Phantom 4 Pro are expensive and also bear in mind that in the UK, if you will be using your drone for commercial purposes, you will legally need to obtain a permission from the Civil Aviation Authority. This involves recieving training by an approved organisation and costs around £1200! Last but of course not least, SD CARDS, SD CARDS, SD CARDS. 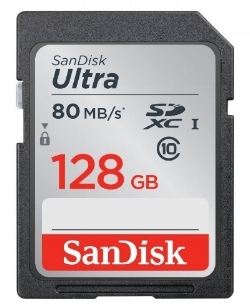 The more SD cards you have, the better. 64gb and 128gb are my favourites, particularly for weddings where you have no time to waste constantly swapping them. I have purchased some dodgy ones from Amazon that have broken after a few weeks but the ones I have linked here have given me no issues.